Back in 2001, I was the editor of a website called Tasty. We were part of ACE – Arts, Culture, Entertainment – a new, energetic section of RTÉ Online. The overall ACE (in more ways than one) editor was Cristín Leach, while I looked after the Tasty food and wine section. 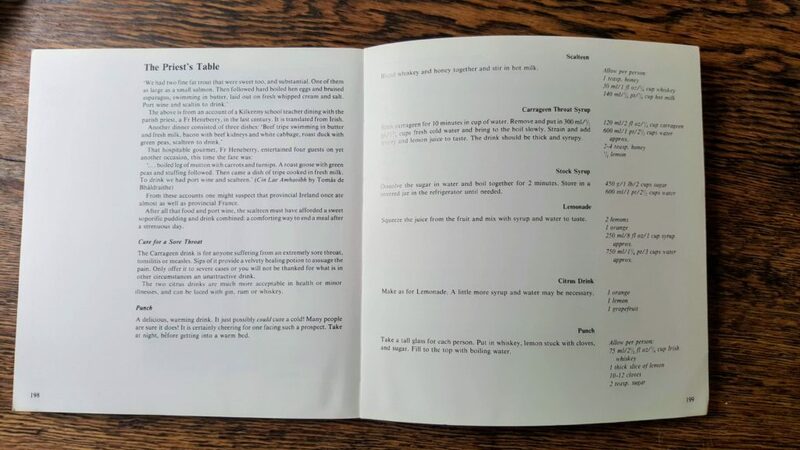 I commissioned wine features, food articles from lovely chef Tommy FitzHerbert, wrote reviews and recorded interviews for the all-too-brief time that the site – Ireland’s first food website – was in operation. RTÉ pulled the plug after an intense, fun and very educational year but during that time I had the good fortune to meet and interview Myrtle Allen at a Euro-Torques event in Herbert Park Hotel. Unfortunately I no longer have the audio but I do remember being nervous and awestruck – I had, literally, devoured her Ballymaloe Cookbook while growing up, making vats of her gloriously simple lemonade – while she was engaged, gracious and patient. That day she was speaking with her Euro-Toques hat on, at an award ceremony to celebrate small food producers at a time when Ireland was not entirely sure that it was interested in having any such diversity. I came away from the meeting with a renewed sense of belief in the importance of small producers, something that has informed my work as a food writer and broadcaster – and consumer – ever since. A small pebble that had a big ripple effect in my life. A later encounter with Mrs Allen, when I was a student in Ballymaloe Cookery School in 2007, came when I spent the night working in the Ballymaloe House kitchens. I was amazed to see Mrs Allen, then in her 80s, standing at the pass and checking every plate that went into the dining room. I was working on the salad section; you can be sure that ever plate of garden salad was meticulously assembled before it went near her. 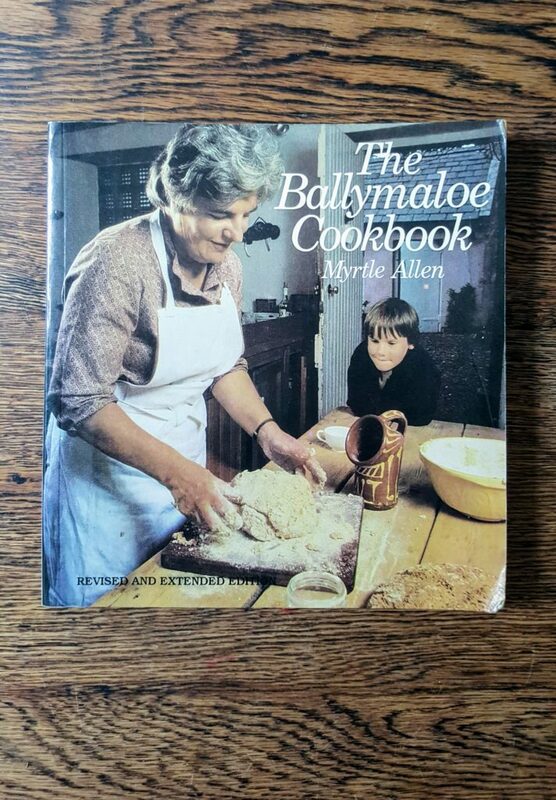 Her Ballymaloe Cookbook was still – and is still – being used in the hotel kitchen, just as her dedication to small producers and instinctive belief in the value of Irish food, are being observed in Ballymaloe House, the Ballymaloe Cookery School and through all the many people who have worked, learned and stayed there. Mrs Allen’s life was celebrated on Sunday with a Quaker funeral in the Ballymaloe Grainstore. Family, friends, colleagues and guests gathered together to speak of this lady who sent a grandchild off to school with smoked mussel sandwiches and a leaky bottle of that lemonade, who ran for president of Macra na Feirme in the 1950s, who kept emigration from the doors of many a local house, was the first first Irish woman to win a Michelin star and who loved good chocolates. Afterwards her coffin was carried shoulder high from Ballymaloe House, down the avenue and past a guard of honour of Euro-Toques chefs and Ballymaloe House staff. Last Monday morning saw the inaugural presentation of the Euro-Toques Awards of Merit to some of the exceptional food producers throughout Ireland. Euro-Toques is a European-wide community of cooks and chefs, which promotes and defends the quality and flavour of food throughout the EU. Sometimes this seems to almost be despite the European Commission as it ploughs its merry way through regional diversity in its attempts at supermarket standardisation. In the EU’s ideal world every apple will taste the same, all cheeses will be made from pasteurised milk and no one will mind when the vegetables are genetically engineered. But they won’t get away with it easily. There are too many regional producers who are prepared to put in hundreds of hours of often backbreaking work to ensure that the Irish food industry maintains its personality, authenticity and high standards in the face of what must sometimes seem like overwhelming adversity. Can you imagine being an organic farmer in Ireland during the 1970s? Rod Alston was. What about almost single-handedly revitalising the Irish cheese industry after a fallow period of some hundreds of years? Talk to Veronica Steele who started making cheese in a bucket on the Beara Peninsula in the late 1960s. Fortunately these pioneering men and women broke ground for others to follow and helped bring about a culture of appreciation for good food in Ireland. This has paid rich dividends for cooks such as Myrtle Allen, founder member of Euro-Toques Ireland and initiator of the Awards. There were seven award winners on Monday: Veronica Steele for her work with the Irish Farmhouse Cheese industry; Sheridan’s Cheese Company who ensure that these cheeses reach the public in perfect condition; the Associated Craft Butchers of Ireland who are actively helping and encouraging small country butchers; Anita Hayes of the Irish Seed Saver Association for gathering and saving the seeds of native Irish fruit and vegetables; Udo and Penny Lange who produce and market organic and bio-dynamic vegetables; Walton’s Mills for their use of traditional roasting techniques; and Rod Alston for his work in the establishment of Irish organic farming. The work done by these people ensures that we have a choice between buying mass produced groceries or Irish artisan food with a personality that reflects the area in which it was produced. The Euro-Toques community is one in which the members have a symbiotic relationship with each other; without cheese makers such as Veronica Steele, the Sheridan’s Cheese Company would be unable to ply their trade; Anita Hayes of the Irish Seed Saver Association looks after the raw growing material which is essential to the work of organic and bio-dynamic producers like the Langes and Rod Alston. But there is another important element in this equation: the consumer. We also have a part to play. Go out there and actively look for locally produced food, help the Seed Savers Association to protect our agricultural future, support your small local butcher. You can make a difference – so do it!